Volunteers Needed – Get Diggin’ It Needs You! The ethos of Get diggin’ It is to mobilise people to come together in community to grow food -together – in other people’s unused or abandoned gardens. We feed the householder, we feed ourselves, and we sell the rest to fund the project. We reduce, reuse, and recycle to make compost and build structures, inspiring our ‘diggers’ to innovate design with industrial and domestic waste. Get Diggin It is looking to recruit additional volunteers to help with the scheme. If you can spare just 2-3 hours a week, you can make a huge impact locally by growing organic, tasty veg all for free, eliminating costly food bills and improving your health. Since the beginning of time, growing and preparing food has united us through thick and thin. However, in our fast and hurried modern world, where time is scarce and food has been turned over to industrialised production, we are offered expensive, nutrition free veg that has travelled many hundreds, if not thousands, of miles arriving often without taste, unripe, doused with chemicals, and packaged in plastic. If you want to make a difference to your health, your wealth and your friendships, not to mention the environment, there’s never been a better time to get involved in growing your own veg. 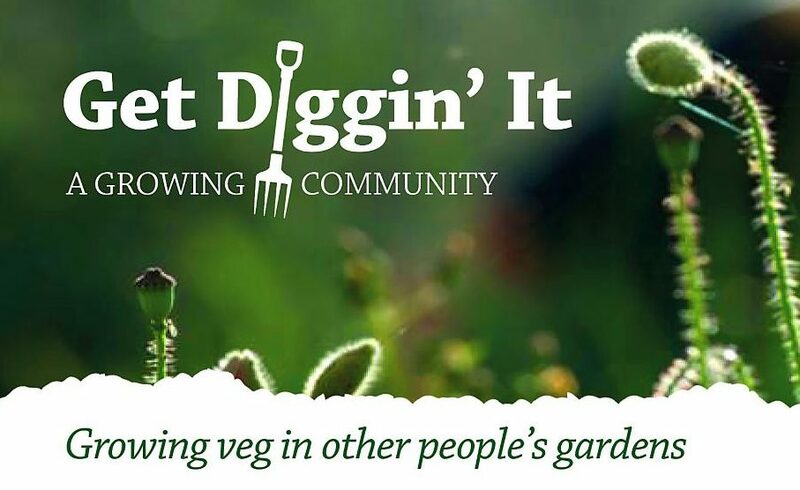 At Get Diggin’ It we’ve found a way to get everyone involved from the young to the old, from the garden ‘haves’ to the garden ‘have-nots’, from the wealthy to the not so wealthy, from the well to the unwell so that everyone can benefit from fresh locally grown and seasonal fruit and veg.